Just after Christmas, my Nan decided to treat herself to a new TV in her bedroom. The one that she chose came with a built in DVD player which she is really excited about as it is her first ever DVD player. I said that I would send her a few DVD's to watch (she currently only has one of a wedding she went to a few years ago) and asked friends on the A Mother's Ramblings Facebook page what they would send a Great Grandma who likes Romantic or Weepy films. They gave some great suggestions and my parcel of DVD's to send to her from my personal collection is just missing a letter and some step by step instructions on how to work her DVD player and then can be sent! Last week whilst I was tidying my room (pictures to come trust me it's worth the wait) I watched a few of the suggested films to help pass the time and keep me on task. The only film that I watched that wasn't on the list was the soon to be released (January 21st 2013) Now Is Good starring Dakota Fanning and Jeremy Irvine. I should have known not to watch the film. I should have known that the film was going to make me sob. I should have known that the film was going to stop me cleaning and get me watching it instead. 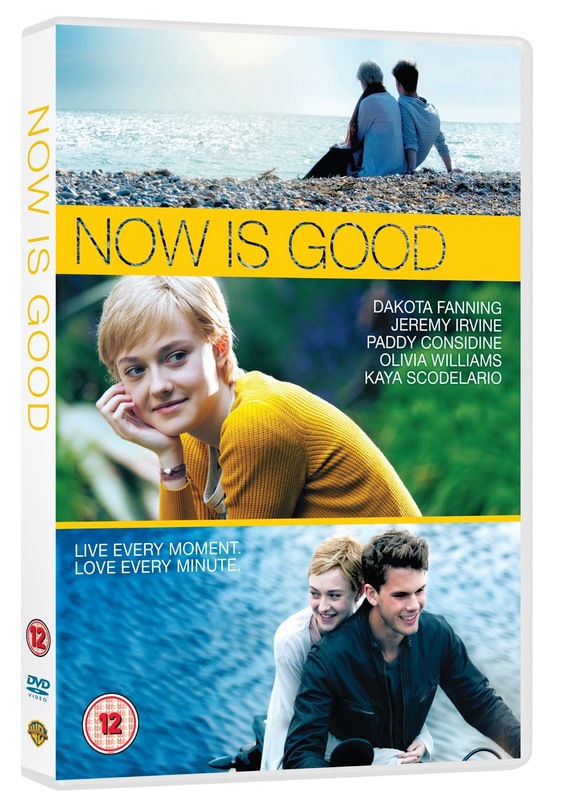 Now is Good is about a young girl (I think 17) who has Terminal Cancer and has decided to try and live her last few weeks ticking off as much as she can from a list of things she wants to do. The blurb on the DVD says that the top of this list is to lose her virginity, but the film is more than this. The film is about broken people being healed, about life and death, about love of all kinds and relationships between family and friends. It's a story that makes you think about what is important to you (well, it did me) and I really loved the film and despite it being so sad. I have sent it off to my Nan as there is a love story in there and it made me weep which is what she said she liked! As soon as she lets me know what she thinks of the film I'll let you know on our Facebook page! We were sent the DVD thanks to Warner Brothers.